In his beloved classic, Acting: The First Six Lessons, master acting teacher Richard Boleslavsky presents his acting theory and technique in a lively and accessible narrative form. Widely considered a must-have for beginning as well as established actors, Boleslavsky's work has long helped actors better understand the craft of acting and what it takes to grow as an artist. 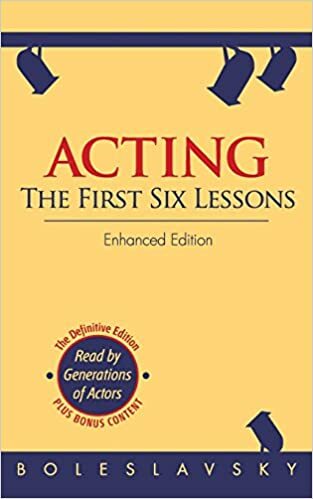 This enhanced edition includes additional exercises from Samuel Seldon's First Steps in Acting, which provide further opportunity to practice the techniques discussed in Acting: The First Six Lessons. Richard Boleslavsky's knowledge of the theater was based on an impressive depth and breadth of experience. A member of the Moscow Art Theater and director of its First Studio, he worked in Russia, Germany, and America as an actor, director and teacher. He was a leading Hollywood director in addition to producing plays and musical comedies on Broadway.